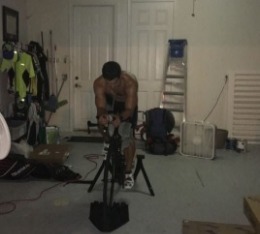 Triathlete Racing for a Higher Purpose. Have you ever achieved something you never dreamt of doing? I never imagined I would be able to complete a full IRONMAN triathlon but that all changed the day I met Richard Wygand. Eventhough I have always been athletic, I have never been an endurance athlete. 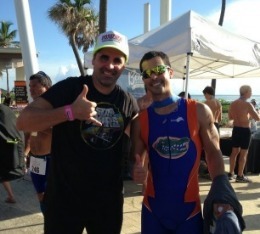 I contacted Rich to help me complete a sprint triathlon which is the shortest distance event (baby steps!) but Rich had other plans. He transformed me into an endurance athlete and in the process taught me that if you really want something and you set your mind to do so, it will happen. 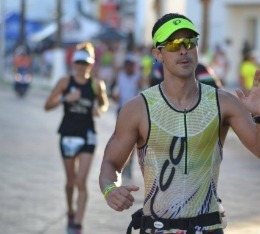 Through Rich's mentorship and coaching I completed Cozumel Ironman in 2015. I am forever grateful to Rich and only hope to be able to repay him for what his investment in my life truly means to me. For this reason, I will be racing the rest of my season to raise funds for GoLukeWygand Foundation. Luke Wygand (Rich’s son) was born in the summer of 2016 with Nemaline Myopathy, a genetic disease that causes severe muscle weakness and breathing/feeding difficulties. Please help me raise funds for Luke and children like Luke!. By supporting the Foundation you will be supporting families with Muscle Conditions. There is no such thing as a small donation. Anything helps! If you want to learn more about the Foundation visit http://GoLukeWygand.Foundation.